Dr. Edward S. Goldberg always appreciates feedback from his valued patients. To date, we’re thrilled to have collected 13 reviews with an average rating of 4.92 out of 5 stars. Please read what others are saying about Dr. Edward Goldberg below, and as always, we would love to collect your feedback. If you're looking for a friendly, personable and skilled physician, Ed is the one. He was my doctor for 22 years before moving to Hawaii. Great care! Dr Goldberg has always been available, caring, and attentive. He was been my physician for many, many, years and I would recommend him to anyone. Dr. Goldberg is an exceptional doctor. It is always apparent that he cares about the well-being of his patients. From the moment I entered the reception area until the time I left the appointment, I was treated with the utmost respect. I trust Dr. Goldberg and his team. His office is a place where everyone is courteous, warm, and professional, where patients are treated with care and compassion. Dr. Goldberg’s office is one of efficiency and relaxation. His staff is kind, friendly and professional. They take the time to know each patient — insuring a level of comfort unlike any other doctor’s office. 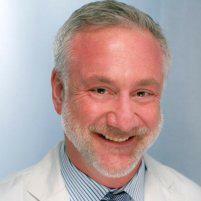 Dr. Goldberg is a caring, knowledgeable and thorough physician who is 100% patient-centric. I always have his full attention as well as the time and freedom to discuss any and all concerns. Additionally, my experience did not end when I left the office. The next day I received a follow-up check-in call from the office. Full service with a kind touch. Kind, knowledgeable, efficient--I feel very lucky to have found Dr Goldberg. I have been seeing Dr. Goldberg as a patient for the past 2 years and have the highest regard for Dr. Goldberg, his staff and his whole operation. The entire experience with anything involving his office is seamless in a way that is somewhat unexpected in medical care these days. His staff feels more like family at this point than office staff at a doctor's office; they know me and treat me like they really care about my well being. As for Dr. Goldberg, he is not only knowledgeable and compassionate but he also has a way of communicating complex medical issues in a way that is entirely understandable without any sense that he's "dumbing it down." Upon meeting Dr. Goldberg he advised that I should be in touch with anything at anytime and he has lived up to that promise of availability by always responding promptly to any concerns, day or night, weekdays and weekends. I would give Dr. Goldberg and his office the highest possible recommendation and 10 stars if possible. Dr Goldberg has been my doctor since 1994. From the first time I met him I knew I was so lucky to have found such an amazing doctor. He always takes his time and listens to what I have to say. He never rushes me and I feel like he is a rare find in this day and age of in and out service. The staff is first rate and my emails and calls are always answered within the same day. Dr Goldberg is kind and compassionate and above all an amazing physician. The medical care and service I receive from Dr. Edward Goldberg and his staff is exemplary! I have been a patient of Dr. Goldberg for over 20 years. Dr. Goldberg is the consumate professional, explains issues/next steps clearly and with compassion and has always been there for me. He has also been an excellent source of referrals. Dr. Goldberg and his wonderful staff always go above and beyond. Thank you all for all you do.